The history of the Toyota Camry begins with the Toyota Celica. The Camry name was introduced in Japan in January 1980 when it was applied as a designation for four-door saloon versions of the second-generation Celica (see image above), which, rather confusingly, bore little relation to the Celica itself but used mechanicals and a lengthened chassis donated by the second-generation Toyota Carina. 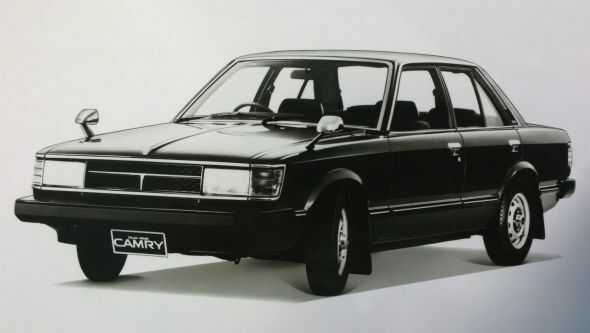 The short-lived Celica Camry should therefore be strictly viewed as a predecessor to the series production Toyota Camry, which launched in its own right in the familiar transversely mounted front engine, front-wheel drive format in March 1982. 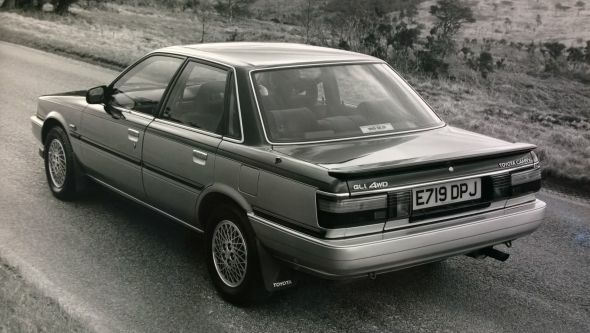 The UK market didn’t begin receiving Camry until midway through 1983, at which point the standalone model had just been given a gentle refresh throughout all world markets. Available initially in one traditionally styled four-door saloon body and a single 1.8 GL trim level (see image above), this upper medium size car made relatively little impact with European buyers. Early in 1984 a 1C-TL 1.8-litre turbo diesel model was added to double the UK line-up, but while this version (also called 1.8 GL) won friends for its combination of engineering, endurance and economy, sales still failed to meet expectations. To rectify this, Toyota GB took the unusual decision to move Camry further upmarket in terms of power and specification. Both 1.8-litre engines were dropped and replaced with 2.0-litre powerplants – an advanced, fuel-injected 2S-EL petrol engine with 106bhp, and an enlarged version of the outgoing turbo diesel that offered 14 per cent more power, 13 per cent more torque, and a 0-60mph time 0.5 seconds faster (see image below). Five-speed gearboxes were standard on both models, while the petrol engine could also be specified with a three-speed plus overdrive automatic transmission. In November 1984, the UK range was further boosted with a new high-specification Executive grade (see image below). Mechanically identical to the petrol-powered Camry GLi, the extra equipment included headlamp washers and the same air conditioning system found in the grand touring Celica Supra. 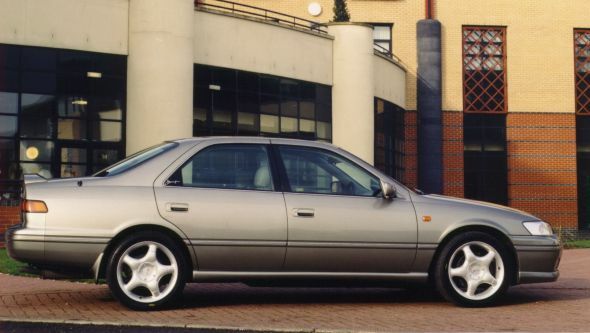 At less than £9,000, few cars could rival the Camry GLi Executive in terms of specification. In fact, the quality and value of this Toyota flagship was finally being recognised throughout the world. During 1985 alone, a total of 252,950 Camrys rolled off the production line in Japan, of which around half were destined for the rapidly expanding US market. 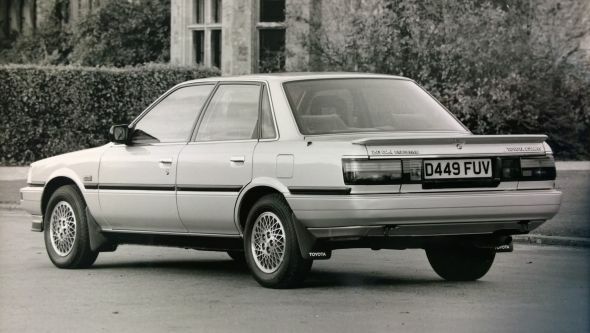 The second-generation Camry arrived in the UK in January 1987 and represented a full model change designed to meet the needs of Nineties consumers. It was priced from £10,390 to £11,900. Longer and wider than before, yet with the same wheelbase, the body displayed evidence of Toyota’s considerable attention to aerodynamic efficiency, offering a drag coefficient of Cd 0.35. Its sleek saloon lines had rounded edges, all joints were made flush with the body, and there were few superfluous elements to create turbulence. In a first for the Camry line, an estate model also became available, offering an immense and flexible luggage capacity. Talking of space, by shifting the cabin slightly further forward within the wheelbase and increasing the front and rear overhangs, Toyota was able to take better advantage of Camry’s front-wheel drive layout. This improved luggage space by eight per cent, without sacrificing passenger room. For the UK market Camry reverted to a single engine option; a powerful new 3S-FE 2.0-litre twin cam petrol unit with four valves per cylinder mated to either a five-speed manual or four-speed automatic gearbox. As the world’s biggest and most experienced manufacturer of multi-valve engines at that time, Toyota used its expertise to create its first four-valve engine tuned specifically to maximise torque rather than top-end power. As might be expected, however, the new S-series engine still offered more power and improved driveability across the rev range than the outgoing 2S-EL. The Camry GLi had a top speed of 125mph and could accelerate to 60mph in 9.2 seconds, yet it was also remarkably economical, returning over 30mpg on the urban cycle and recording over 48mpg at a steady 56mph. 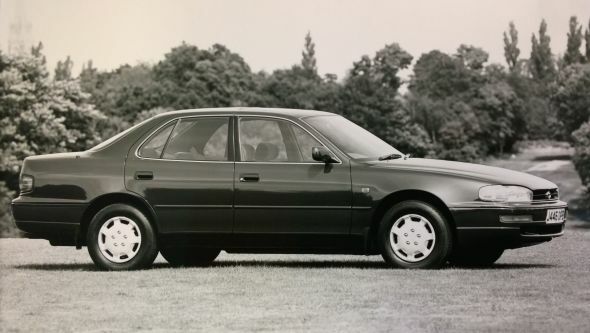 Specification levels were generous, even for a car in the executive saloon class. Both GLi and GLi Executive grades featured a new moonroof feature – essentially an electrically-powered sunroof that was 10 per cent larger than normal – while the latter differentiated itself by offering air conditioning, cruise control and alloy wheels. 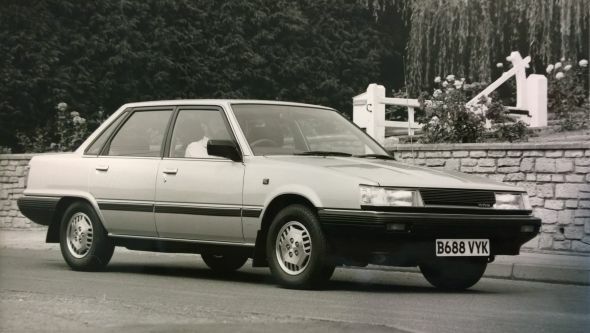 Toyota GB’s initial expectation was to sell 3,500 units per year of the second-generation Camry but the model’s appeal – especially in Executive guise – and the record size of the UK market meant that this target was exceeded with 4,117 registrations. Encouraged by this sales performance, Toyota rode the wave of interest in the exciting new high-performance ST165 Celica GT-Four by introducing a four-wheel drive Camry in March 1988. 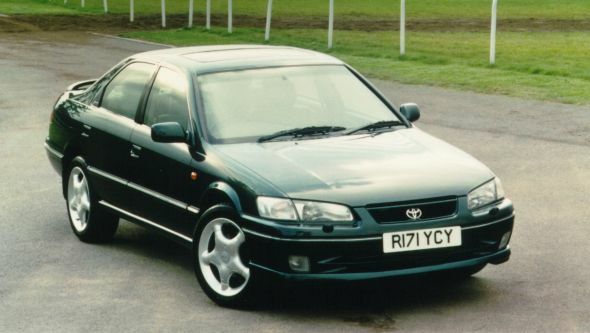 Launched on the same day as the ST165, Toyota GB predicted that the £16,695 Camry GLi 4WD (above) would account for approximately 10 per cent of Camry sales. Outwardly identical to the Executive, the 4WD could only be identified by discreet badges on the grille and boot lid and a 10mm narrower rear track. 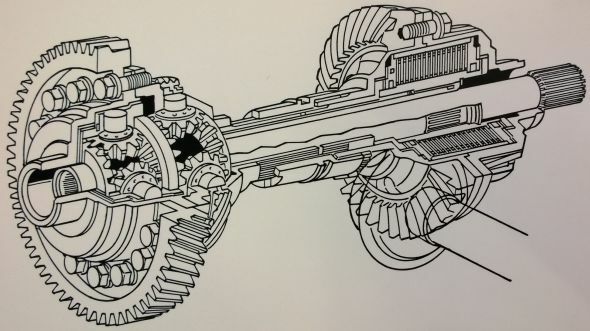 Underneath, however, the 3S-FE engine adopted the ST165’s transaxle assembly, which housed the gearbox, centre differential and transfer gear, to give the car full-time four-wheel drive without encroaching on interior space (see diagram above). 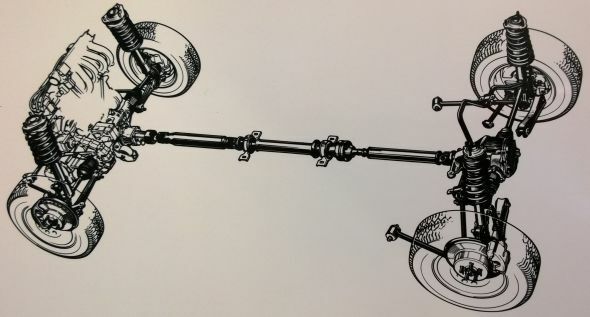 A viscous coupling (see diagram below) in the centre differential divided the torque between both axles to deliver a 50/50 torque split. Even in the latter period of its life, the second-generation Camry sold a consistent 3,500 units per year. 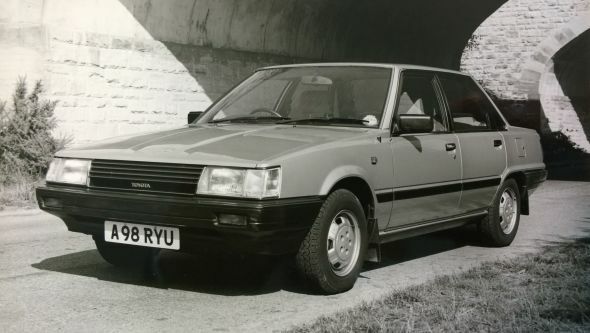 By March 1989, it had notched up a creditable 7,773 sales in the UK, at which point Toyota added a little more sophistication to the model by introducing an exclusive new top-of-the-range model. 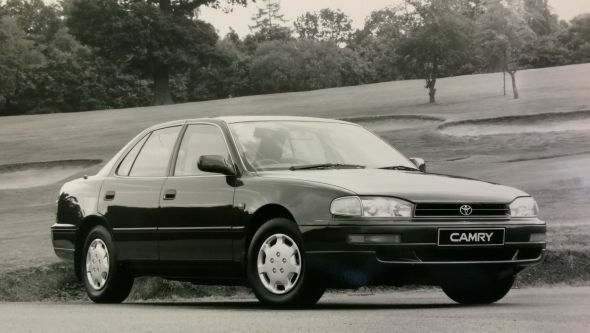 The £16,991 Camry V6 GXi (above) was the first car in the world to feature a quad cam, 24-valve V6 engine mounted transversely to drive the front wheels. The new 2VZ-FE engine displaced 2.5 litres and produced 158bhp and was only paired with the A540E electronic four-speed automatic gearbox. Interestingly, it was the third Toyota model equipped with a catalytic converter (the others being Celica GT-Four and Supra Turbo), and therefore designed to run exclusively on unleaded fuel. Toyota now had the distinction of selling more catalyst equipped vehicles in the UK than any other brand. By the end of 1990, a total of 2,175,270 Camrys had been produced in Toyota’s Tsutsumi plant and the new Kentucky plant in the United States. Of this number, 240,901 had been supplied to the European market since the car’s arrival in 1983. 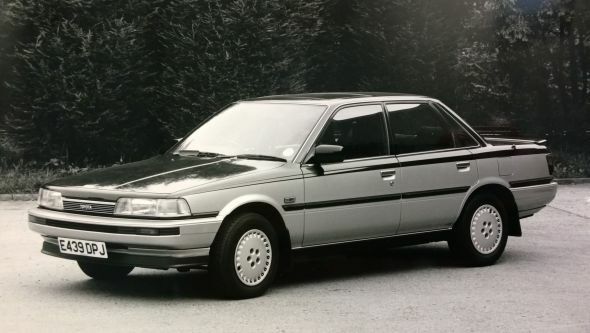 The third-generation Camry (above) arrived in the UK in October 1991 and was a completely new car; nothing was carried over from the previous model. Noticeably larger in all directions except height, the car’s wide body and large capacity engines were developed specially for overseas markets. In other words, it was not a ‘Europeanised’ version of a model available in the Japan. Initially available in saloon guise only, Camry was powered by either a 5S-FE 2.2-litre four-cylinder engine with 134bhp or a 3VZ-FE 185bhp 3.0-litre V6. Prices stretched from £17,519 for the 2.2 GL manual to £22,325 for the V6 GX automatic. In contrast to the two-box styling of previous generations, new Camry had an overall wedge shape and a cross-section that was wider at the base to emphasise a low centre of gravity. The smooth, wind tunnel-honed shape, wrap-around lights and flush-mounted door handles all contributed to a significantly improved drag coefficient figure of Cd 0.31. 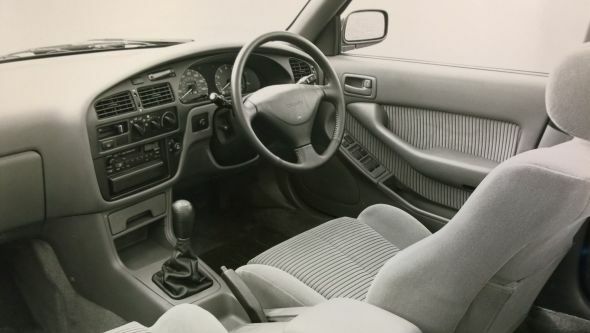 Meanwhile, inside there was more passenger and luggage room and the ergonomics had been improved by placing major climate and audio controls 100mm closer to the driver within a driver-focused dashboard design. 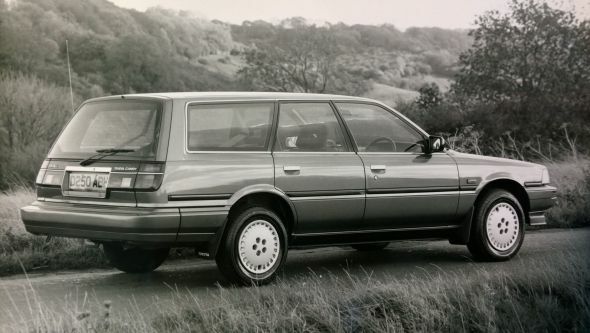 July 1992 saw an estate model join the Camry line-up with the same choice of engines and trim levels. It was the first Toyota to be made solely in the US and was also the only US-made Toyota to be built in right-hand drive for export. Designed as a seven-seat model, the estate featured two rear-facing seats that could be stowed away into the flat load area when not in use. With all rear seats folded away, luggage capacity was a cavernous 843 litres. Another interesting feature of the estate was its unusual twin rear wiper setup. Camry continued to be recognised as the provider of benchmark standards in refinement and excellent value for money. New company car tax proposals for 1993 that emphasised retail price rather than engine size made the 2.2-litre model particularly interesting for business user-choosers. However, as the executive car market slowed, so did Camry sales. By 1995 these had declined to 735 units per annum. 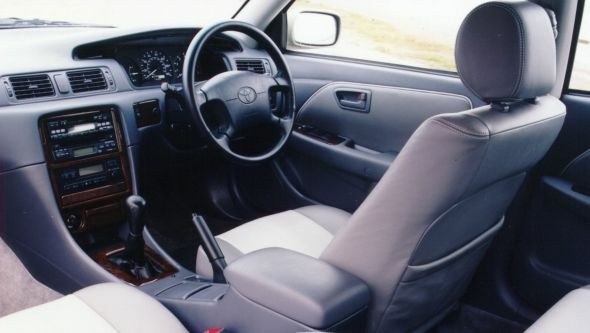 Rather than emphasising its luxurious qualities, Toyota decided to highlight the car’s class-beating value-for-money on the arrival of the fourth-generation model (above) in November 1996. Comparing prices adjusted for specification, Camry buyers saved thousands of pounds compared with competitor models in terms of purchase cost, while the savings continued in whole life costs as Camry was the cheapest vehicle in its sector on a pence-per-mile basis. This approach was hoped to reverse the car’s fortunes, reflected in an expectation to achieve 1,750 sales in 1997. But the new car had much more going for it than rationality. 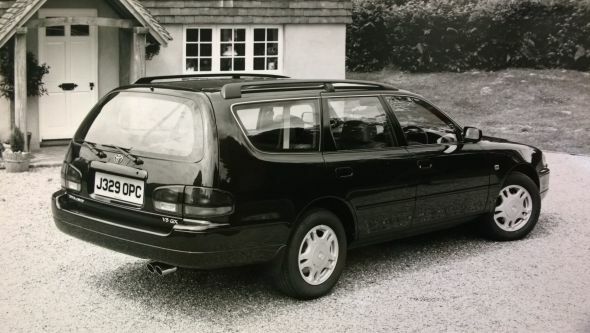 It had been transformed into a sharp-suited saloon (no estate derivative was offered in the UK) with a wide, stable stance and low, sweeping belt line designed to appeal to a slightly younger audience. Once again, the overall package was slightly longer, wider and taller than the outgoing model, while the wheelbase was extended 50mm for shorter overhangs and more interior space. Power came from either a revised version of the 2.2-litre 5S-FE four-cylinder engine or an all-new lightweight 3.0-litre 1MZ-FE V6 that developed more power and considerably more torque – 188bhp at 5,400rpm and 202 lb/ft at 4,400rpm. The V6 engine also introduced a new ‘air-assist’ feature into the fuel injection system that helped pre-atomise the air-fuel mix prior to ignition, which in turn reduced emissions and improved fuel economy. 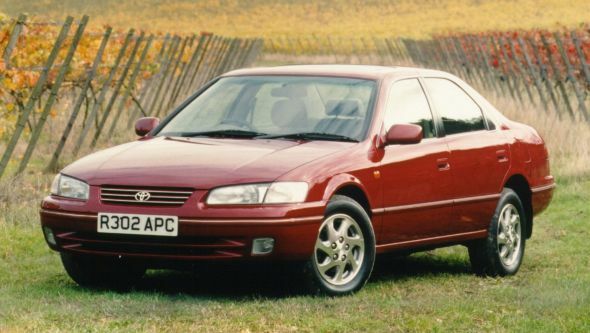 But while the V6 was ostensibly the performance model in the Camry range, a new ‘Sport’ derivative (see image above) of the 2.2 model took those honours visually when it arrived in January 1997. Specially developed by Toyota GB for the UK market, it featured 17-inch alloy wheels, 20mm lowered suspension, body styling package and Connolly leather trim. Eighteen months later, the Sport was made available with the 3.0-litre engine as well. In December 1999 a minor visual update was applied for the 2000 model year. The five-strong range now featured a more rounded front bumper, bigger front fog lights, redesigned grille and new headlights with four halogen bulbs in place of the previous two (see image below). Chrome rubbing strips and new wheel trims for base 2.2-litre models brightened up the side profile, while a new bumper and combination lenses gave the rear a softer look. Extra equipment was included as standard and prices were realigned to begin at £20,180 on-the-road. In recent years, Camry had been purchased by around one thousand discerning customers. But Camry had really proved its mettle in the USA, where since 1997 it had positioned itself as the country’s best-selling car, frequently selling more than 400,000 units annually. An all-new Camry arrived in the UK in November 2001 (above). Compared with European rivals, the investment level in this car had been huge. This was not only because of Toyota’s no-stone-unturned engineering quality but with millions of sales now expected in the USA, the new model had justified a bigger research and development budget. 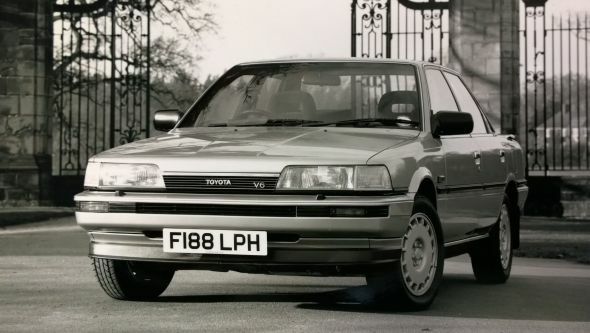 In other words, discerning British buyers were getting a car of incredible quality – a carefully engineered balance of ride, comfort and performance that defined its status as Toyota’s flagship saloon. A strong wedge shape once again characterised the design, with steeply raked A- and C-pillars giving the effect of a coupe to disguise the huge 587 litre boot space. The aerodynamic shape resulted in reduced wind resistance, now down to a class-leading coefficient of drag at Cd 0.28, and cloaked a spacious interior that delivered class-leading leg and headroom for all passengers that belied the car’s relatively compact shape. Two efficient engines were available in the fifth-generation Camry, beginning with a new 150bhp 2.4-litre 2AZ-FE four-cylinder unit benefiting from Toyota’s advanced Variable Valve Timing-intelligent (VVT-i) technology, and culminating in the velvety smooth 184bhp 3.0-litre 1MZ-FE adapted from the previous generation car. Little separated the pair in terms of performance and both complied with forthcoming European Step III emissions levels, however it was the 2.4 that set the class benchmark for acceleration and fuel economy. Equipment levels for both models matched or exceeded that demanded by the executive car market. Climate control air conditioning, electric windows, central double locking with remote activation, electrically operated retractable mirrors – which featured water repellent glass – and electric front seats were just a small indicator of the equipment fitted as standard. Prices ranged from £19,495 for the 2.4 GLS VVT-i manual to £27,495 for the plush 3.0 V6 CDX auto with DVD Sat Nav. Despite once again offering an attractive proposition within the private and fleet car markets, the executive market as a whole had diminished considerably in the UK. By 2004 Toyota GB decided to discontinue the model. However, the Camry’s fortune has continued to rise elsewhere, especially within the US market where it is in its seventh generation and has been the nation’s best-selling car for 12 years straight. Thanks for getting in touch, it’s great to hear that you are pleased with your Camry and that you’ve recently joined the High Mile Club! Regarding the scrappage allowance, we would advise for you to contact your local Toyota Centre. I purchased my 2.2 Ltr CAMRY new Sept 1995. It was £20.000 it has now covered 125.000 miles. A few maintenance costs. Original silencer lasted 12.5 years. Radiator at circa 85.000. I replaces all brake discs and pads at 110.00miles. I tend to be fussy. Bit rust on rear sills. I did add Air Con from new £900 by TOYOTA. All in all its been wonderfull I had MR2s before the CAMRY. Just to old to get in one now. WONDEFULL car. I have driven for 61 years. BEST of the lot. I have a 2000 camry 2.2 sport with 76000 on clock from new. Never had a problem and love it. That’s great to hear, Esme, thanks for contacting us. We wish you many more happy miles in your Camry. I have had my 2000 Camry 2.2 for 9 years. It has 268000 miles on the clock and is very reliable. I have not had to spend much at the garage to keep it going. It is the best car I have owned. Thank you for your lovely comments. Are you interested in being a member of our High Mile Club? You can get more information here: https://blog.toyota.co.uk/high-mile-club. Thanks. Hello. I purchased my Camry 2.4 V T I In 2004 inThailand. Imported tithe UKinJanuary 2005. It has done 143,000 milesand other than tyres,a couple of batteries.Very little else! I owned BMW and Mercedes before but….NEVER, EVER AGAIN! Only a Camry but will have to import from my wife’s country Thailand, again but at present I am penniless so it’s just a pipe dream!! Hello Toyota!! I would love to join your ‘Mile High club’ with my 2004 Toyota 2.4 VVT- i automatic! Over 151,000 miles and ‘going like a ‘scalded cat’. MY GOD!!! I want the new one even though mine is a treasured vehicle. BUT I am 85 years old and simply could NEVER afford the new one!!!!!! What can I do Toyota?????? Thanks for getting in touch and congratulations on reaching such high mileage on your Toyota! We will contact you via email regarding sending you your high mile sticker. I don’t like the front of the new camry, it is like all other toyotas. I have a Toyota Camry 2.4 VVT-i and purchased it in late 2004. It has completed 140,000 miles, and has literally cost ‘pennies’ to maintain over almost 13 years! I WOULD NOT SELL IT FOR £40,000 !!!!! HI ALAN, mine is in perfect MECHANICAL condition but wheels need replacing and some scuff marks around bodywork. BUT.. after my previous BMW 525i and Mercedes – “I WOULD NEVER part with it unless I could get £36,000 cash for a NEW ONE!!!! From Thailand, my wife’s country where its is a grrrrrreeaaattttt seller!!! !